This entry was posted on Wednesday, October 17th, 2007 at 10:24 pm	and is filed under .NET, ACTIONSCRIPT, ACTIONSCRIPT3, ADOBE, ALGORITHM, AS2, AS3, C#, DEVELOPMENT, DYNAMIC, FLASH, FLEX, GAMEDEV, GAMES, HOWTO, MOTION, PROGRAMMING, TECHNOLOGY, VISUALIZATION. You can follow any responses to this entry through the RSS 2.0 feed. Both comments and pings are currently closed. 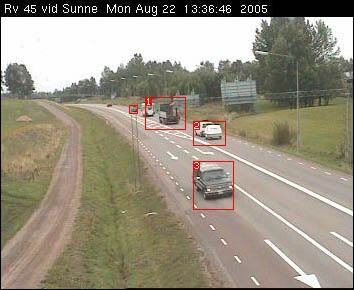 Motion detection is relatively easy (made some experiments myself). What I couldn’t do reliably in Flash is image recognition and motion tracking. That was pretty sweet Dan good work. It’s still work in progress, and may need to be adjusted for certain environments.